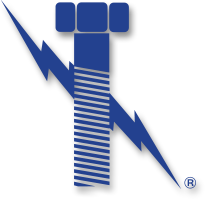 Although Lightning Bolt is known for our Exotic Alloys and hard-to-find fasteners, we’re also a go-to supplier of “Class C” fasteners – these are your more standard items such as Grade 2, Grade 5, and Grade 8 Bolts and hardware. For the purposes of this article, we’ll focus on the latter – Gr. 8 Bolts and hardware. Grade 8 Hex Cap Screws are easily identifiable by their markings. The standard SAE J429 Grade 8 Hex Cap Screw will have a marking of 6 radial lines on the head. Reference the photo below. Most often, Gr.8 bolts and hardware are plated with a zinc yellow finish. This zinc plating is useful because it serves as an extra layer of protection against corrosion and exposure to moisture. The chemical make up of zinc slows down the process of oxidation and greatly extends the life and integrity of the fastener that it covers. Grade 8 bolts are a staple in the industrial world due to their high strength / high tensile capability. So hard hard are grade 8 hex cap screws? Well, they are very hard. Below you will find the tensile strength of the SAE J429 Grade 8 hex cap screw and grade 8 Hex Bolts. Grade 8 bolts are especially prevalent in the automotive industry. The specification “SAE” Grade 8 is as such because it was defined and standardized by the Society of Automotive Engineers. The OEM and equipment industries also heavily use these fasteners. So, Why choose Lightning Bolt for Gr. 8 fasteners? One reason is that we have a vast inventory– this allows for us to ship most orders out the same day that they are placed. Does your job specifically require domestically manufactured Gr. 8 material? If so, please note that we offer a full import and full domestic line. We’re “large enough to serve you, but small enough to know you..” Our customer relationships matter to us – that’s why we strive to be the best in our industry.